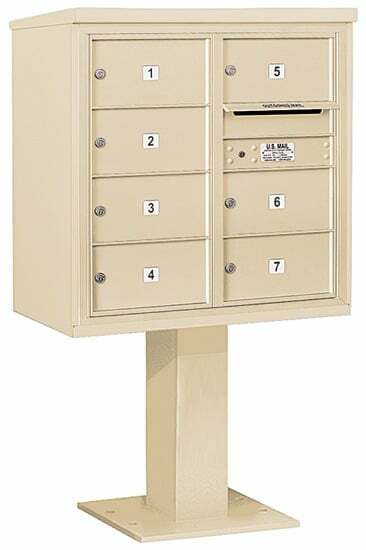 Salsbury 14 Door 4B+ horizontal style commercial mailboxes are ideal for apartments, condominiums, office buildings, military bases and residential developments. 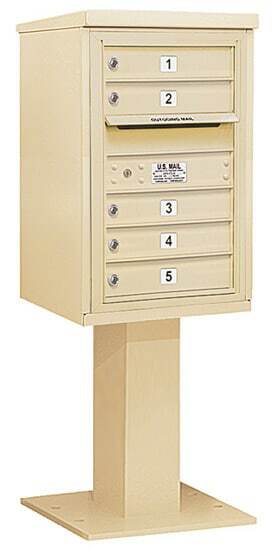 Made entirely of aluminum, 3600 series 4B+ horizontal mailboxes are U.S.P.S. approved and available as front loading units or rear loading units. 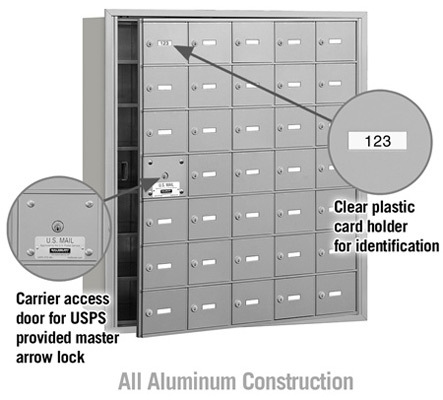 Each aluminum door includes a 5 pin cylinder cam lock with 2 keys and a clear plastic card holder to identify the tenant’s name and/or box number. 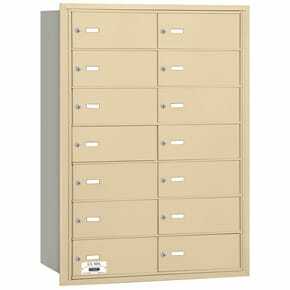 Upgrade your horizontal mailboxes with engraving on the doors. 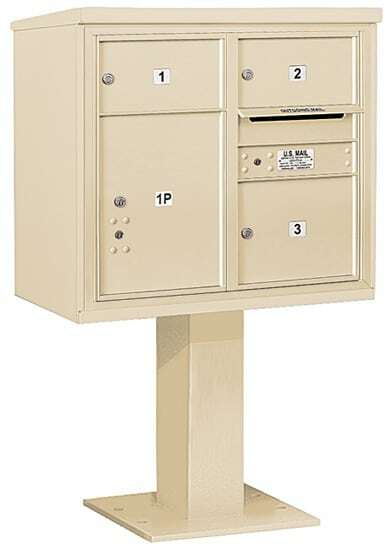 The B sized doors on this mailbox are 13″ W x 5-1/4″ H.
This horizontal commercial mailbox unit has 14 usuable doors. 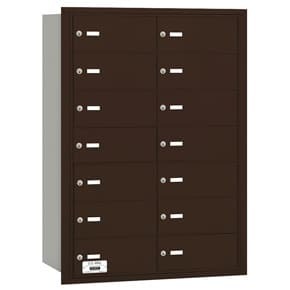 The rear master access panel has a removable lift off cover. 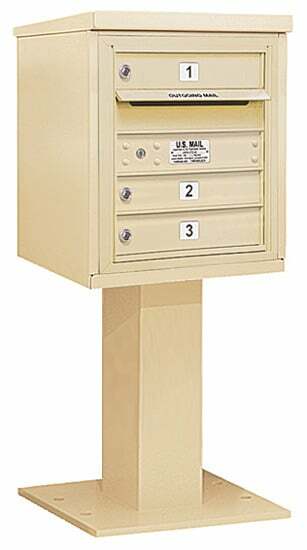 Theses horizontal mailbox units include factory installed 3/4″ W x 1/4″ D trim and a solid rear cover. 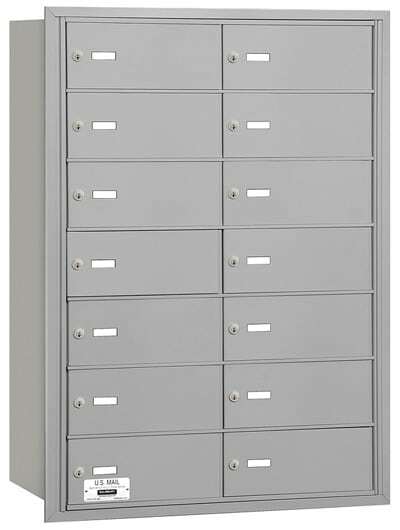 The 3600 series 4B+ horizontal mailboxes have been U.S.P.S. 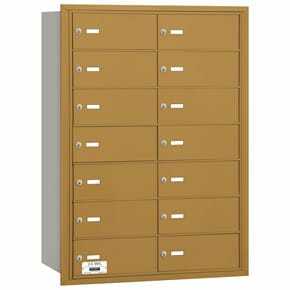 approved to the required security upgrades of USPS-STD-4B+. 4B+ horizontal mailboxes are approved for replacement and/or retrofit installations effective October 2006. Overall with Trim 40.75" 29.25" 16.5"